This jumbo art box contains everything you need to unleash your creative side. 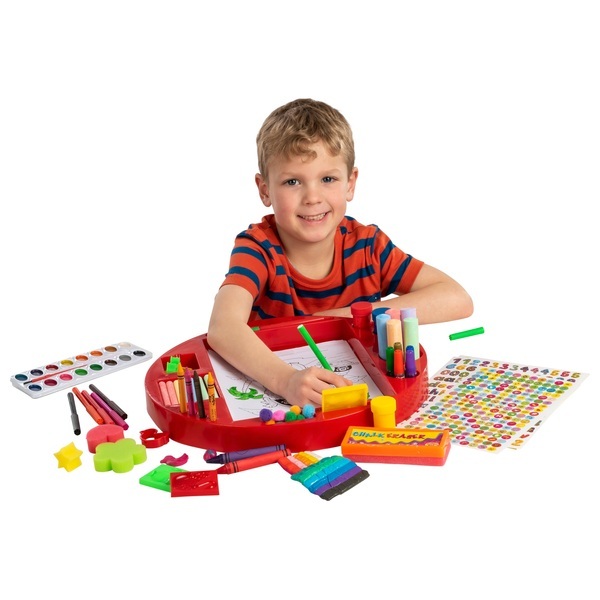 This jumbo art box Includes a work station, crayons, coloured chalks,markers, crayons, water colours, glitter glues, clay colours, finger paints, sponges, paint brushes, and lots more! Over 800 pieces included.